Online ordering menu for SLOW BURN HOT CHICKEN. At Slow Burn Hot Chicken we incorporate love and happy vibes into each fried wing, smoked rack, or BBQ slab we prepare, making sure each customer receives the same, one-of-a-kind experience with every bite. Our main fare can be customizes based on the heat level you want--from Singe to Inferno--with our secret rubs and sauces crafted to intensify flavor and taste! Slow Burn Hot Chicken is located near the corner of Myatt and Madison Industrial Dr., just north of the Metropolitan Nashville Police Department, in the Cederwood Courtyard neighborhood. Still can't find us? No worries, just follow smoke signals! 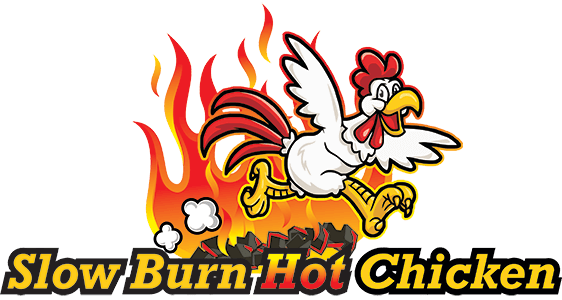 Order Slow Burn Hot Chicken online today To-Go or for Dine in!